No, you don’t need to quit your day job. And there are many satisfying reasons to do the trail in sections. Among them are that shorter hikes generally take less of a toll on your body and that doing the trail in pieces provides future trips to look forward to. 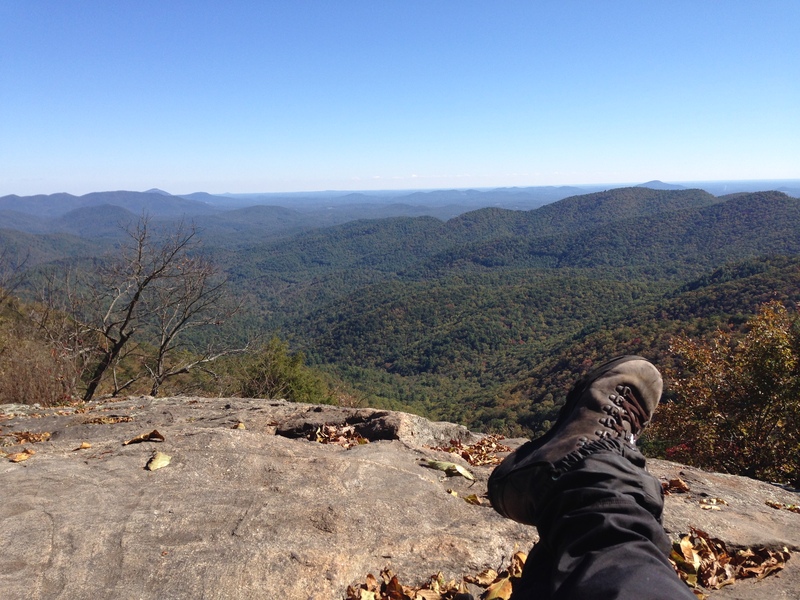 I go into more detail about the considerations for section hiking (including the mental and physical aspects) in Appalachian Odyssey, but to get started here are some pointers. Determine how many trips you would like to take to complete the trail. This may seem easier than it is. If you are an experienced hiker, you can pretty accurately assess how many miles you can cover day after day (also factoring in rest days or days you can’t cover as much ground due to poor weather or fatigue). At almost 60 years old, I figure on covering ten miles per day when I’m out on the trail. When I was in my 20s, it was more like 17. If you have little hiking experience, I suggest taking a few shakedown trips to get a feel for how much ground you can predictably cover. And don’t forget, different sections offer different levels of challenge. Hiking through the Smokeys or the White Mountains is a lot harder than say, hiking through Maryland or New Jersey. In addition to that, some sections can be marginally more difficult based on whether you are hiking northbound (aka “Nobo”) or southbound (aka “Sobo”). Some descriptions include elevation gain in their stats. Grab a copy of The AT Guide or the AT Data Book. The AT Guide is a comprehensive data book that gives you all the baseline data you need to plan a hike and a lot of info you can use on the trail. It is extremely helpful for determining places to get on and off the trail. The AT Data Book is a planning tool that provides great baseline info for planning your hikes (it consenses the trail data from all eleven official trail guides into one book) but doesn’t go into the level of detail the AT Guide does, which makes the AT Guide my preferred resource of the two. Choose your food and gear carefully. 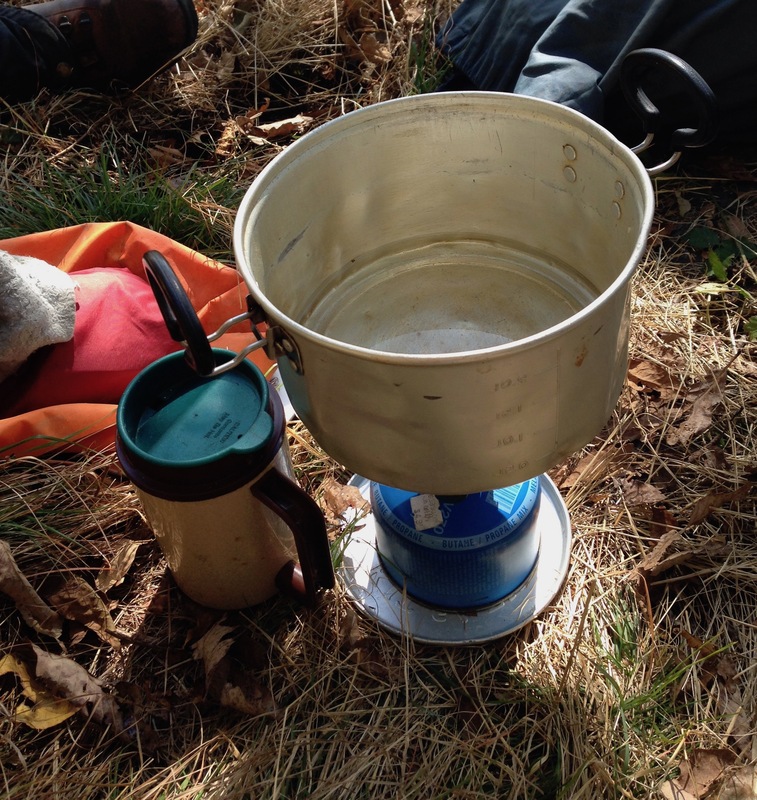 As a rule, through-hikers take more detours from the trail for rest days and resupply stops than section hikers. We found that we didn’t want to make side trips unless there were burgers or groceries less than a mile or two from the trail. We wanted to be making as much forward progress as we could when we were out. Everyone is wired differently. Some people want to make more side trips. But because we planned on taking no side trips, we packed enough food for the entire trip. Our packs were heavier at the beginning, but we enjoyed the flexibility. Plan your transportation. Where you get on and off the trail is important as it relates to transportation. Both Wayne and I live in New England, so we could easily spot cars at either end of a section. But once we got out of New England, we used public transportation and private shuttles to get to and from the trail. There were two reasons. First was flexibility. If for some reason, we wanted or needed to cut a trip short, we wouldn’t have to work out getting to our car. Second, we wouldn’t be leaving cars unattended for days on end. Another option is to drive to one end of the section, have a shuttle driver take you to the other end and drop you off so you can hike back to your vehicle. The Appalachian Trail Conservancy publishes a list of shuttles. A note about Uber and similar services. We have successfully used Uber for shuttles, but beware that cell phone coverage (and the availability of Uber and similar services) in some areas may be unreliable. When in doubt, I suggest planning your “end of trip” shuttle in advance. If plans change, you may be able to contact the provider from an area with reception along the trail. I hope you have fun planning your section hikes and have a blast out on the hallowed path. If you have any questions or comments about what I’ve written or other topics, I’d love to hear from you. I have updated my individual state overview pages to provide some recommended section hikes (the same sections my friend Wayne and I hiked over our 28-year adventure). My hope is that you will find them useful for planning your trips as well. Each section is more fully described in my book, Appalachian Odyssey, which also provides profile maps, so you can see what the terrain is like. Note: This post was originally written March 25, 2017, and is updated to reflect new information. Can you suggest a 7 day section hike for next week in Massachusetts, Vermont or Maine on A.T.? We were supposed to start at Springer Mountain on Saturday but now we’re worried about Irma hitting Georgia….. Gladly. How bout heading north on AT from either North Adams, MA or Rt. 9 in southern VT? There are enough road crossings to give you a number of options for end points. Good call steering away from the storm. I would like to hike the NC section can you recommend the best place to start and end my hike? I did the GA section in May and would like to complete NC next year. Hi Debbie – Where did you get off the trail – at Dicks Creek Gap or did you continue north from there? Just curious as it helps me give a better answer to your question. I went to Bly Gap and then backtracked to Blue Ridge Gap for a shuttle to TOG Hostel. One of my favorite sections was Nantahala Gorge to Davenport Gap. It was 101 miles and a lot of ups and downs through the GSMNP.I also did from Nantahala south to Dicks Creek Gap, which is why I asked if you had gotten off the trail there. It looks to me that it’s about 63 miles from Bly Gap to Nantahala, so you’d be taking on about a 164-mile section hike to get from Bly Gap to Davenport Gap. Hope this helps. I found an excellent shuttle option to and from Nantahala. It’s a great place to get on or off the trail. Food, restrooms and a big parking lot there. It’s predominantly a whitewater rafting facility, but they are very hiker friendly, as one might expect. Perhaps something to keep in mind if you want to break the trip into two section hikes. Thanks for writing this! 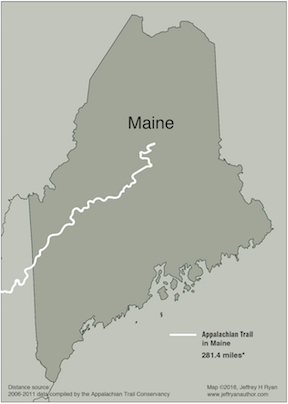 I’m headed to a Appalachian Trail in a few weeks and plan on hitting up a few of these trails! You’re most welcome. Glad it helps. 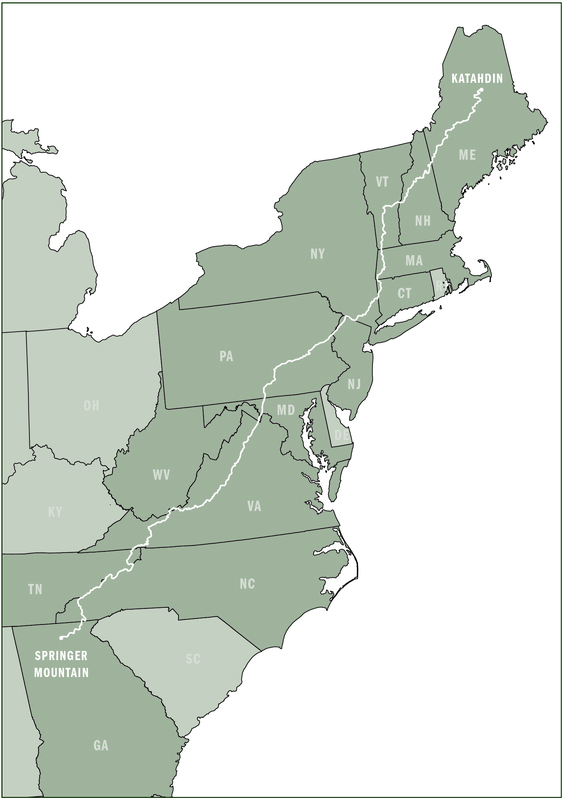 I live in NY and have a life goal to section hike the AT. I’m a little old for such a goal (44) and I’ve only day hiked. I’m fit and have flexibility to do several s croons a year. Do you provide coaching for such an ambitious goal?? Sorry for the delayed response. I was actually on the trail myself for a few days. I can’t really provide personalized coaching, but I am certainly available to answer any questions you may have along the way regarding training, gear choices and logistics. Good luck. You’re certainly not too old. I routinely see folks much older out for a few days. This past weekend I met the woman that set the record for oldest female to through hike the Appalachian Trail. She is in her mid 70s. I believe she was 73 when she hiked it, and she is still going strong. Inspiration for us all! There is advice above to plan your end-of-hike shuttle well in advance. I’d like to offer another suggestion, and give the reasons for it. It is more sensible to get the shuttle at the BEGINNING of a section — meeting the shuttle provider wherever you park your vehicle. Then, get shuttled to where you want to start hiking, and hike back TO your vehicle. So many things can happen during a multi-day hike to make you early (and more often, late) arriving someplace to meet a shuttle driver at the end of a hike. Cell coverage in the mountains is iffy at best. You may not be able to call the driver to change the time, and even if you can, that driver may have other trips booked at the time you want to switch to. It also creates unnecessary and unwanted stress to keep to a tight schedule. Isn’t avoiding stress one reason we go to the mountains? Most shuttle providers recommend doing it this way. A few refuse to meet hikers at the end of their hike because they know they, or the hiker, will probably have to wait for the other party to show up. Some drivers do several trips per day and simply CANNOT wait, so the hiker meeting a driver at hike’s end is taking a chance on not getting that ride if he or she takes longer to hike than anticipated. Conversely, if you are able to finish your hike a day or a few hours ahead of anticipated, it’s better to simply arrive at your vehicle and be able to drive home than to have to wait hours (or until tomorrow) for your ride. There may be the rare exception why you might NEED to do it the other way, but these are all valid reasons not to. This is great advice. If you plan to leave a car at one end, I entirely agree. I’ve used this method before. What I failed to mention is that on most of my AT section hikes south of New England my hiking partner and I used public transportation. Thus there were no cars parked at either end and we had to plan for and rely entirely upon shuttle support. Thank you for weighing in. i am unable to do many multi-day section hikes beyond a weekend hiKe but would still like to meet my goal of hiking thE at. What adviCe can you give or resources can you point me to about how Do plan these shorter sections? Good question. Here’s what I suggest. 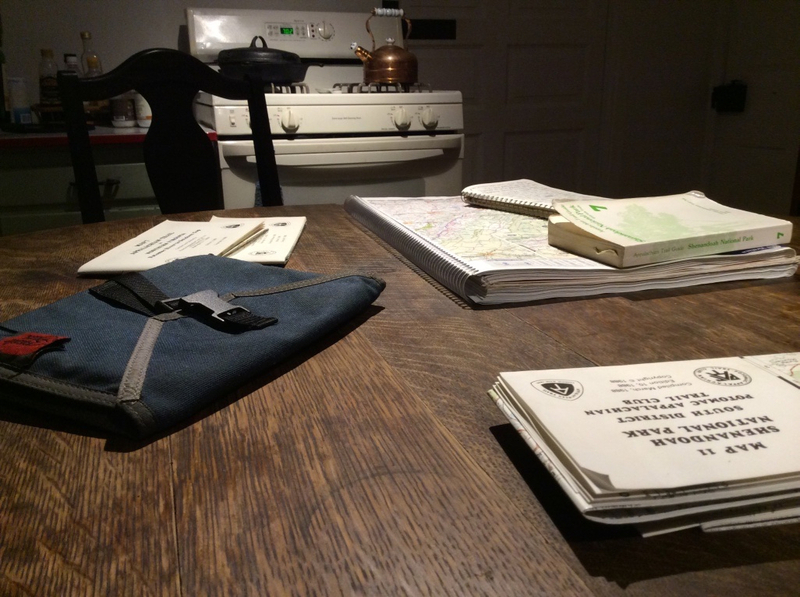 Get your hands on the Appalachian Trail Data Book (if you don’t own it already). Thay will help you find places to get on and off the trail that enable shorter hikes. A few thoughts come to mind. One is looking at the stretch between Waynesboro and Front Royal, VA. The AT crosses Skyline Drive over 20 times in 108 miles. That will allow you plenty of options for getting on and off the trail. Another section I’d suggest is MD. Again, there are some pretty easy places to jump on and off there. Hope this helps. hi jeff. I am from delaware and i would like to take our youth group on an over night hike. I have hiked a section in virginia about 20 years ago. i do remember passing and even staying at a shelter along the trail. I was thinking Virginia, maryland or pennsylvania. i want them to see some beautiful mountain views, but also have some type of shelter if possible. thank you in advance. Happy to weigh in on this. I’d suggest a less aggressive section of trail to ensure the youngsters have a good time. The AT Data Book may be really helpful for planning, as it lists access points and distances to shelters. That said, Shenandoah NP comes to mind for a few reasons. 1. It’s reasonably close to where you live. 2. If you didn’t want to use a backcountry shelter, you could camp at one of the campgrounds in a group site, do day hikes and return to the site. 3. Another option would be to plan a hike where you could get on the trail north or south of a campground (Loft CG or Big Meadows CG), hike into the Campground, stay there, then complete your hike to your vehicle(s) the next day. Less to carry and great views all along the way. 4. If you stay at a campground, you don’t need to worry about obtaining backcountry camping permits. Outside of the above suggestion, you might want to check out Maryland. Nice views along the ridge from Pen-Mar State Park north. You didn’t mention group size, but if it’s over 10, please beware that Leave No Trace protocol (as well as advice of many trail organizations) encourages groups be no larger than that. Also, you can’t depend on shelters being available (they’re first come/first served), so you’ll want to have tents along, so you can camp near the shelter, but not in it if necessary. Hope this helps. If you have other questions, please follow up.